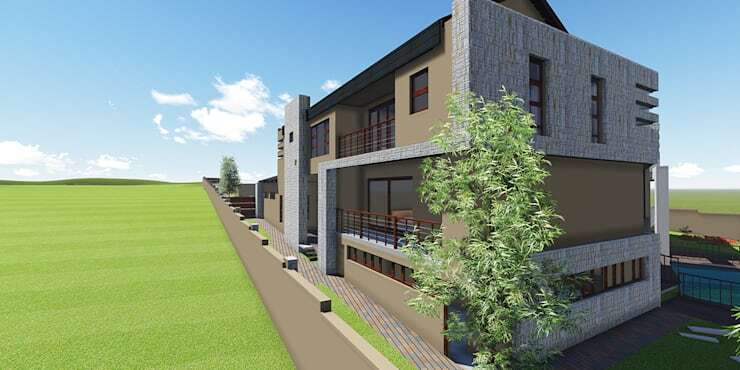 As one of the leading architects in Johannesburg, the professional team of TOP CENTRE PROPERTIES is specialized in civil projects and residential ones. 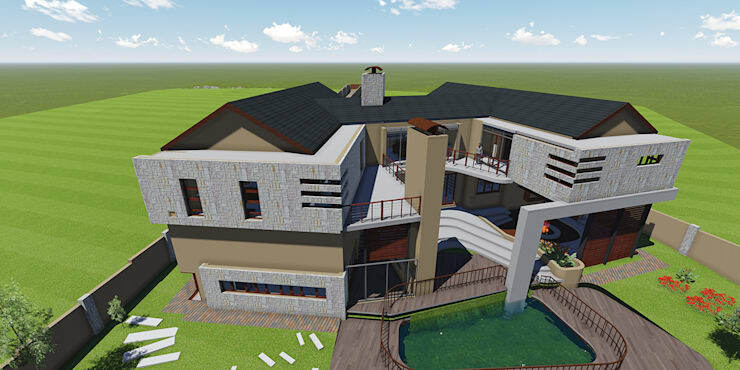 They have acquired extensive experience in creating high density properties as well as architecture and construction, servicing both locally and abroad . 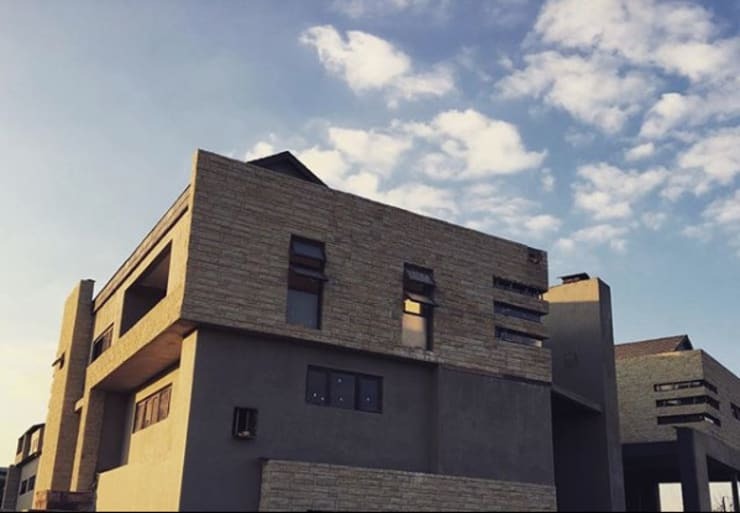 In this feature ideabook, we explore another great development by these Johannesburg architects with the modern style House Ramela. This is an example of the 3D drawing, you witness the team's perfection and attention to detail. The project starts off with a concept and then 3D design. This forms part of a larger strategic planning process. 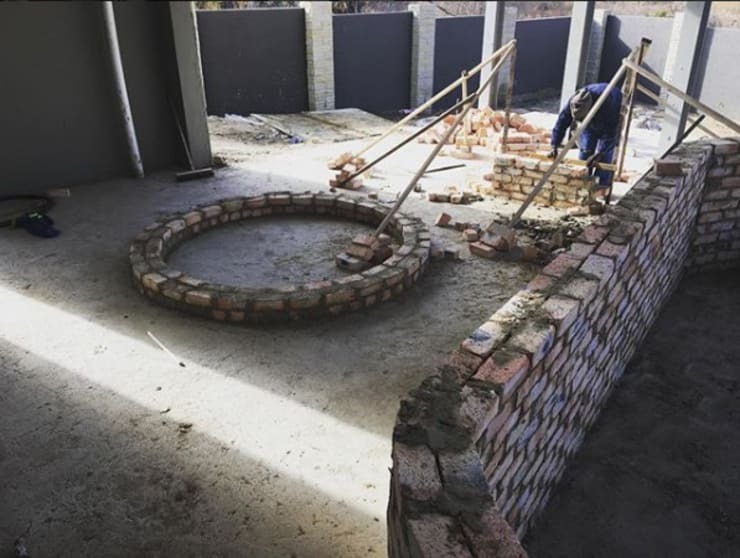 The outdoor fireplace seen here is in its construction phase and will make for many outdoor social gatherings with friends and family even on cold winter evenings. 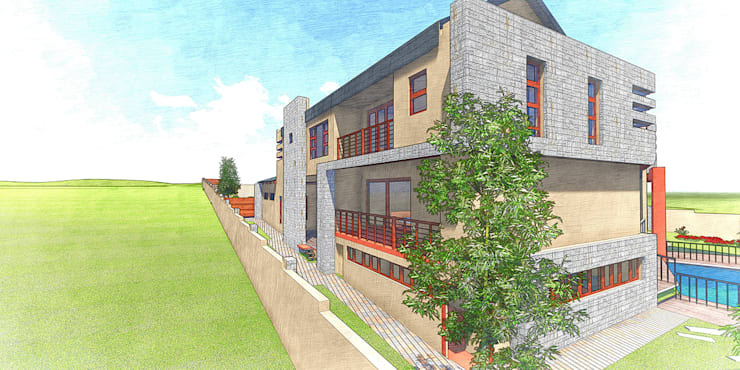 This is a mutual and one of the integral features of this large and beautiful family home. This picture shows one of the sides of this beautiful home. It features a raw stone cladding as well as smoothed surfaces and together they create a very contemporary look, fitting for this modern Property. 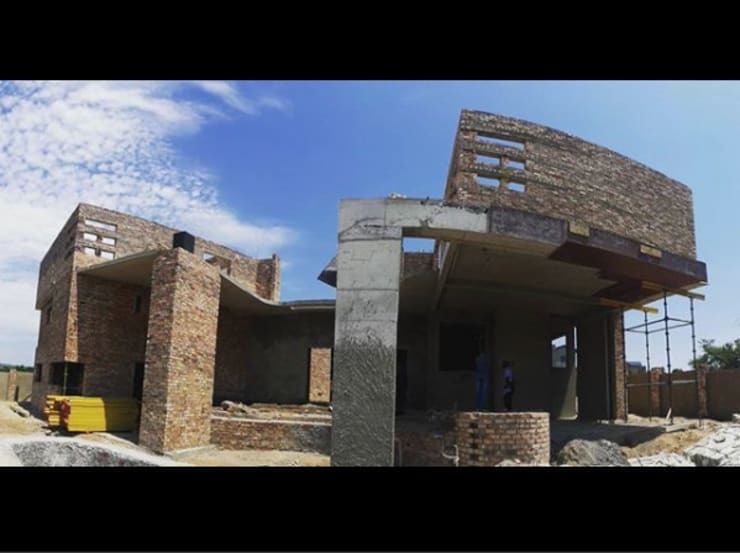 Here we can see the team hard at work constructing the beautiful house in Johannesburg. It features intricate designs that results in the complete modern look in the finished result. 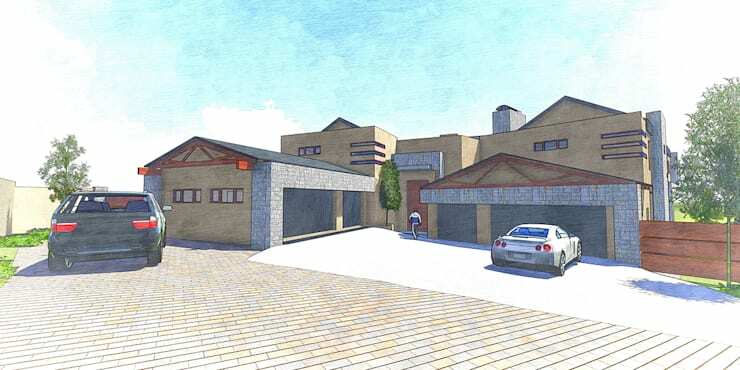 This is another angle of House Ramela in the 3D design view. It boasts spacious outdoor entertainment areas, a sparkling pool, and balcony’s to enjoy the view of the rest of the property. Here you can see the 3D view of the side in the previous picture that was under construction. This is the finished results after the team recreates this design. 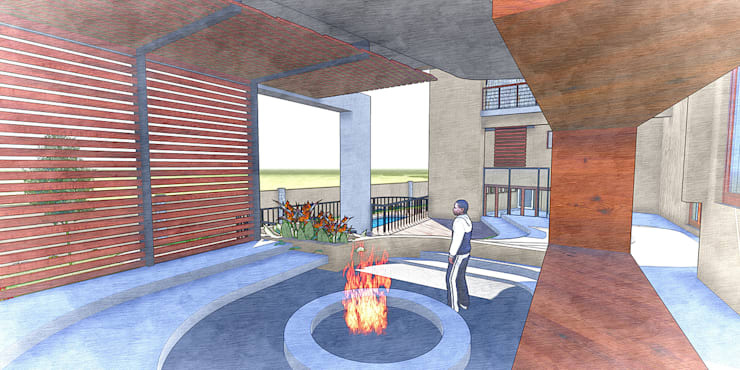 Detailed sketch work is one of the steps during the designing process of the property. 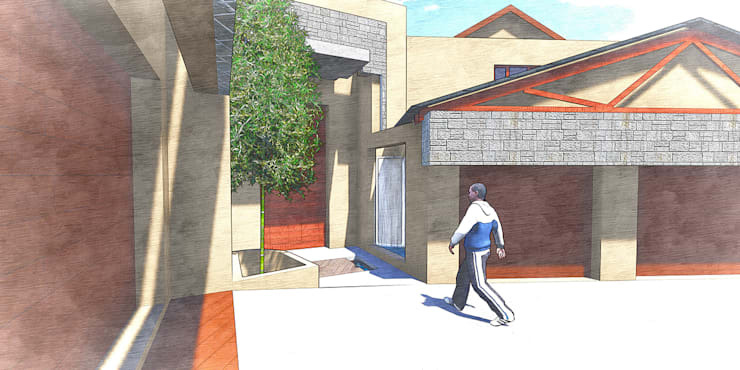 Here below is a series of sketches depicting this beautiful house. House Ramela is big on large living spaces and double volume. As seen here is another side to the property showing some of the parking and driveway. 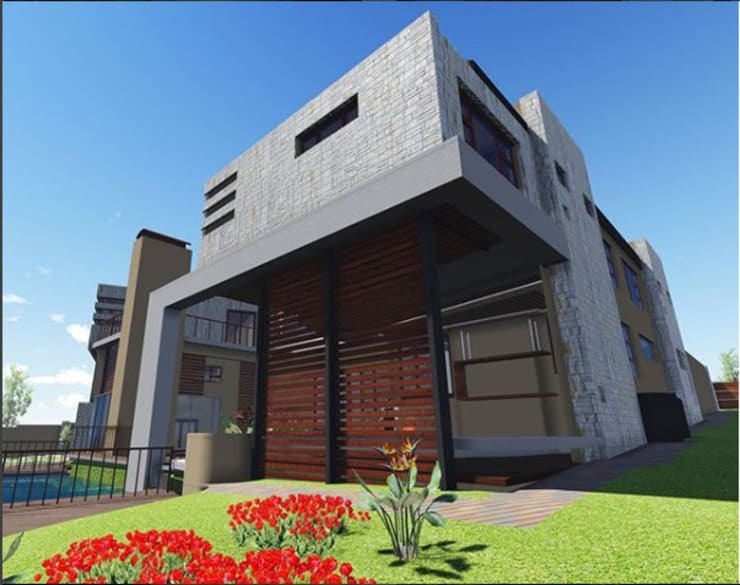 As we’ve already mentioned the home boasts some large living spaces and to match that, its only fitting that these architects in Johannesburg created adequate space to accommodate the vehicles. 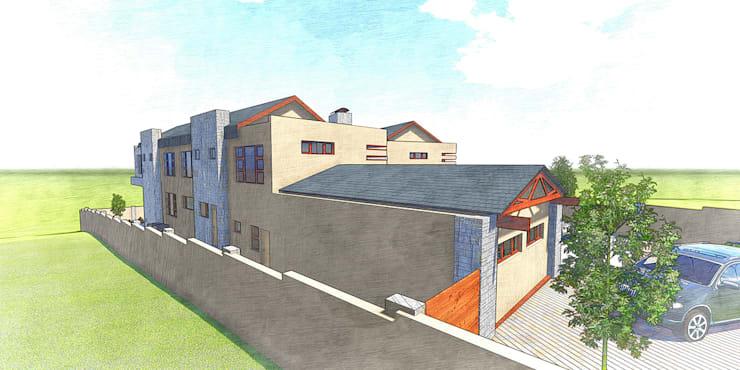 As seen here, there’s enough space to accommodate guests parking in the driveway as well as cars securely parked in the lockup and go garages. A neat front entrance as seen here is minimal and welcoming to guests. We like to think of this section as a grand entertainment zone for the guests visiting the family at the Ramela house in Johannesburg. Straight lines and aesthetics accompany this excellent example of a contemporary home. Are you looking to make some changes to your home? Here are some worthwhile renovations to consider for your property.